Kentucky Derby Hat "Kentucky Morning" is a perfect hat for Ascot too! 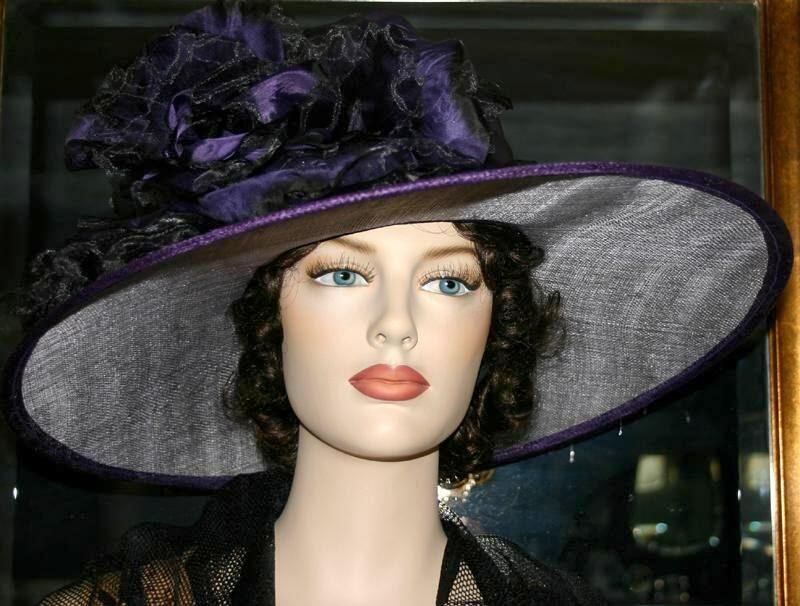 It's designed over a beautiful wide brimmed (19 inches wide) purple sinamay or sinimay base. The crown is wrapped with purple satin . 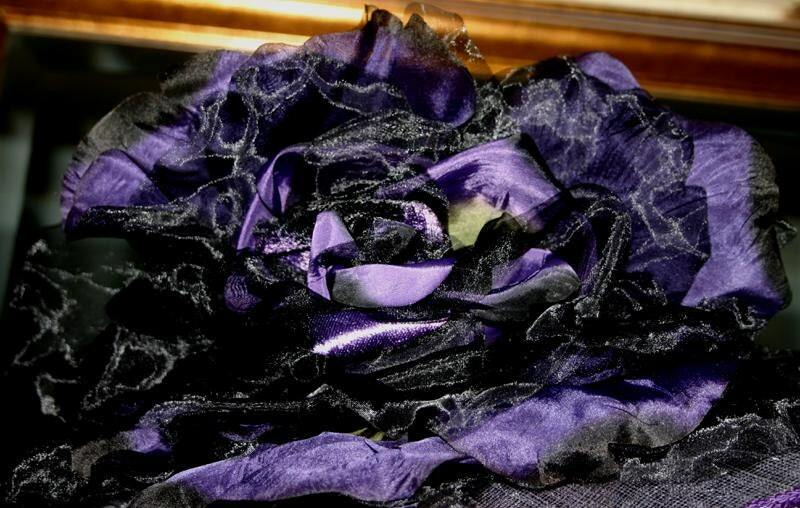 A gorgeous hand made organza rose is the focal point; this rose measures a full 12 inches in diameter. Organza ribbons accent the back of the rose. 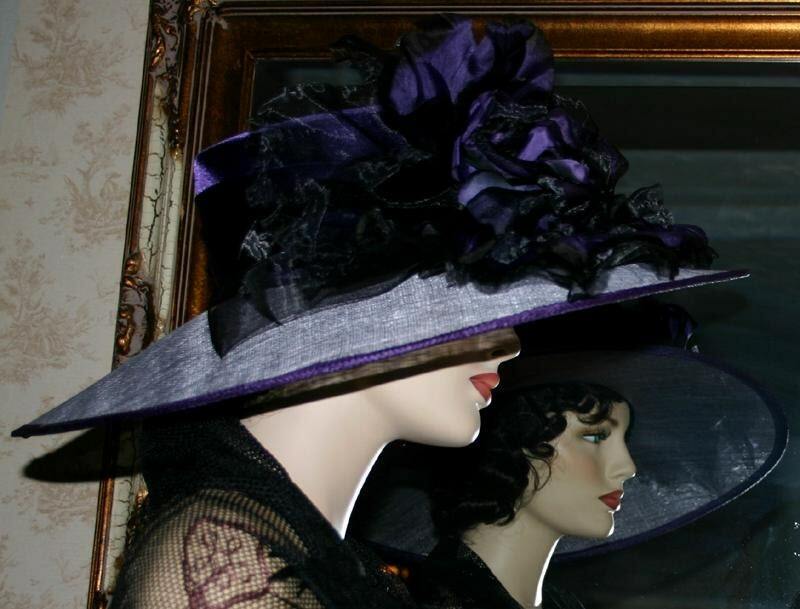 This hat is perfect for Easter, Weddings, the Kentucky Derby or any event that you want to feel elegant! This hat size measures 22 3/8 inches and has a built-in hat size reducer so it can be made smaller for a perfect fit. Please see instructions below: How to measure your head.